Echevarria was employed by Crane Express. His brother was also working on the site as the crane operator for the same company. He is the one who got him the job with the company. Crane Express doesn’t have the best reputation . In 2015 the company had to pay a $3500 OSHA fine for a serious safety violation at a New Jersey construction site. The following year, two workers hired by Crane Express were killed in a crane accident at a Queens construction site. A crane operator and his flagman were crushed by a 6,500 pound steel beam that crashed on the cab after a crane wire snapped. A lifelong Bushwick resident, Gregory Echevarria had 4 children. 3 from an ex-wife and a five-month old from his fiancee. 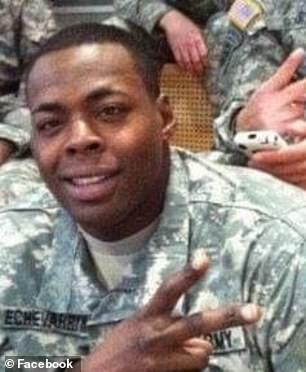 Echevarria was also a war hero who had several deployments in Irak and Afghanistan. He was a tank operator. Echevarria is the third construction worker to die on the job this week in New York.